Spring Hill vascular surgeon, Dr. Goldbach has extensive experience in vascular surgery and has a strong passion for helping patients overcome their vascular disorders. Dr. Goldbach is the vascular surgery specialist that you can trust to help you achieve great vascular health and enjoy a better quality of living. Vascular surgery specialist, Dr. Goldbach then moved to Memphis, TN where he completed a two-year vascular surgery fellowship at The University of Tennessee. Spring Hill vascular surgeon Dr. Goldbach is very excited to be a part of The Vein and Vascular Institute, the largest group of board certified vascular surgeons in the State of Florida. Dr. Goldbach is happy and proud to be an integral part of the medical community in the Spring Hill area and looks forward to providing the most advanced endovascular surgery for treating all vein and vascular disorders. 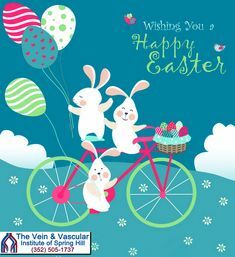 Thank you for choosing The Vein and Vascular Institute of Spring Hill as your vascular health care provider and for putting your trust in Dr. Goldbach. To schedule an appointment with Spring Hill vascular surgeon Dr. Goldbach, please call The Vein and Vascular Institute of Spring Hill at (352) 505-1737. Or you can request an appointment by filling out the form below.